Penn Jersey Signs was established when one of our founders worked for a builder and could not find a reliable provider for weekend directional signs. Our goal was to provide excellent service every week. That mission continues to be a driving force through today. We always answer our cell phones between 9am and 9pm, and reply to emails within hours. This enables us to be one of the region's most respected weekend directional signs providers. We now place over 17,000 signs every week. We use the latest in design technology, enabling us to be on the forefront of innovation. Our projects vary from simple to simply spectacular. We specialize in providing directional signs for residential master planned communities, as well as commercial building, office parks, apartments, and shopping complexes or their tenants. We pride our selves on our ability to form productive relationships with business and government. We do everything with honesty, integrity, and a solid commitment to quality. We never sacrifice quality for profit. 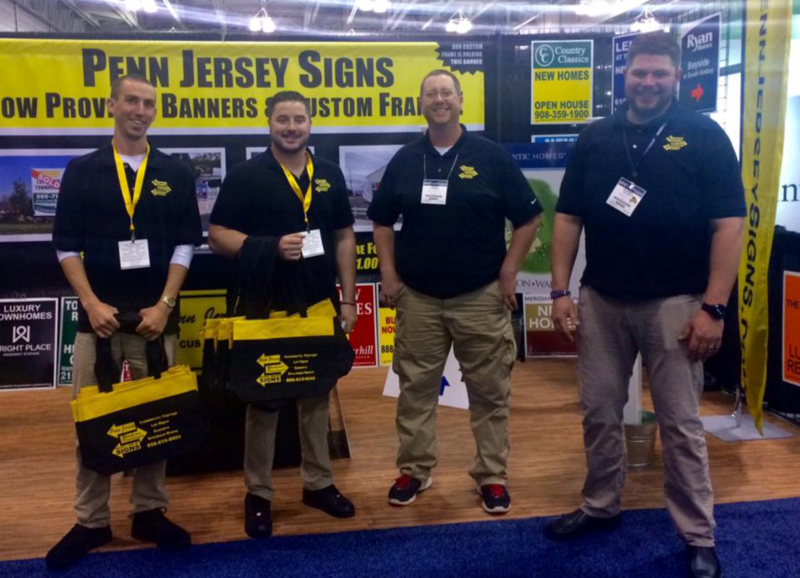 Penn Jersey Signs has never wavered in our commitment to supporting communities. Penn Jersey Signs has been involved in many charitable causes and civic organizations over the years. Penn Jersey Signs believes in supporting the community. We now place over 17,000 signs per weekend for over 300 sites. We hope we may be of service to you as well. Our sincere goal is "customers for life". We have been recognized for our outstanding services, so let us show you why Penn Jersey Signs is the best directional sign company. Give us a call to see how we can help you with all your signage needs.